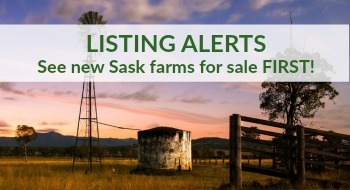 Selling Sask farmland requires an agent and real estate team familiar with these unique properties, with the expertise to price and market your farmland to its best advantage. We'll use all our resources - Farmland is a special niche which requires marketing to a special audience. We'll make sure your farmland is seen by the broadest audience of qualified buyers possible through creative, state-of-the art marketing techniques. Find out more. We'll price it right - Pricing your property according to what it's really worth in today's market is a critical step in the selling process. That's why you'll want a professional assessment of your farmland's value. Request a free property valuation today. We'll handle the details so you don't have to - As your listing team it's our job to take care of the details associated with selling your property so you can focus on what's next. Our experienced team can take care of everything you need, from start to close and everything in between. and to request your complimentary price evaluation. 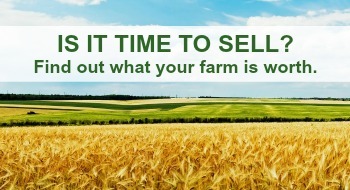 Selling your farm is a major undertaking and you only get one opportunity at getting it right. To obtain the highest price possible for your farm we take a proven strategy that Adam has developed over the past 250 sales. MLS - When you List your Land with me it goes on the multiple listing system. Meaning I work with all Realtors in a Co-operative. Your property goes on 1000+ websites.